So this morning I decided to get smart. I pulled up my Pinterest boards and went through my sensory activity pins. And I was reminded of all the cool, fun things I used to do before I was too busy to make stuff for my kids. Or maybe lately I’m just too busy to care… hmm. Need some self reflection there. I determined we’d see what we had at home already, and then would grab a few things at Walmart to make our week a little more exciting. So I’m combining here some things we pulled out and did yesterday, some things we’re doing today, and then some links to some activities we’ll be doing later in the week. I wish I remembered where I originally saw this idea. This one came back to me when I started going through my supply box looking for liquid starch, and there I saw the yellow colander. This time around, I have two kiddos doing the activity, though, so I got out my good one too. You can get an inexpensive colander at Dollar Tree or Walmart. I love that yellow one because it’s fun for art too – you can trace around it to make a huge flower! lol. It’s as simple as the picture looks – give your child the colander and a bunch of pipe cleaners, and just see what they do! You’ll be amazed at what they come up with, and the fine motor practice is phenomenal. I’m all about rice sensory tubs – my kids LOVE them. They both absolutely love the feel of the rice between their fingers, and they beg for rice tubs frequently. I had a pink, red, and white rice mix set up for Valentine’s Day, so for this one, I just scooped out most of that mix, pulled out the Valentine’s add-ins that were in the tub, and dumped in some older bags I had already mixed of blue, green, and white, and then I colored a little orange and purple just to add more spring color. Then I hid foam letters that spell Happy, Easter, Becca, Grayson, and Elle. I made sure to write the words on a card and attach to the box since Gray doesn’t know how to spell. I also took some old foam egg and bunny stickers I got a couple years ago (also in that supply box with the colander…), peeled the backs off, and stuck them together. Then I hid the eggs and bunnies and the letters to make a fun treasure hunt of sorts! More Activity Links To Check Out! Here are some more links to things we’ll be doing later in the week (I won’t promise a blog post because, well, life!) And also, if you’re just looking for some fun time fillers, be sure to check out Doodle Art Alley – Samantha is an AMAZING artist and does some brilliant work. She shares TONS of it for FREE on her website – all of it is there just ready for you to download and print! I printed off a bunch of stuff today and not only did I color with the Bigs earlier, Becca and I enjoyed Cody joining us this evening after the Littles had gone to bed in coloring bookmarks! We’ll take them and laminate them later this week and then she can use some, and share some with friends when she goes back to school! Plus, here’s some stuff we’ve done in the past that is worth revisiting for St. Patrick’s Day! 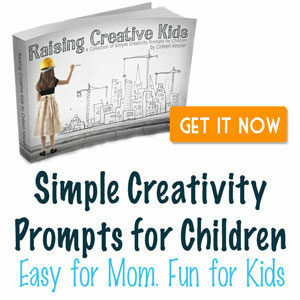 We also picked up at Walmart a new super fun Paint by Sticker book – the kids love those! If your kids haven’t tried them, I highly recommend them for fine motor and numeral recognition practice… and plus they are just downright fun! Here’s one from Amazon (again, no longer an affiliate, just sharing for your benefit!) that we have and the kids love!